Cee Lo Green is already a judge on the US version of “The Voice” and some people consider him more popular than rapper Will.I.am. With that being said, apparently the ratings on “The Voice UK” were so disappointing that Will.I.am, Jessie J and Tom Jones may not be appearing for the second season. Actually, our source says that only Danny O’Donoghue would be coming back for sure. Now, that is quite the “shake up” to have three major stars not return to the show. 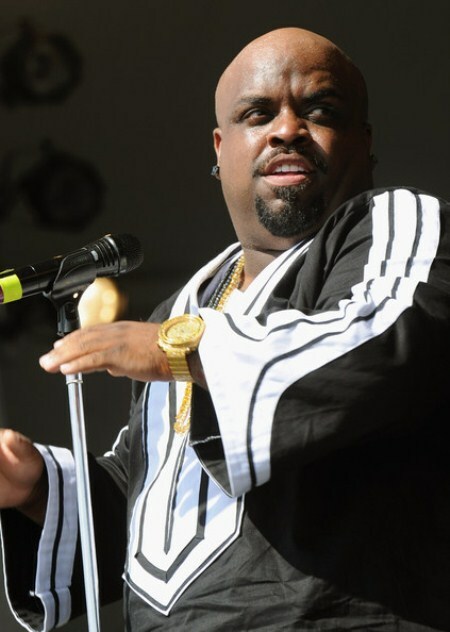 Cee Lo could be replacing Will, but where would this leave Cee-Lo doing “The Voice” in the US? Will he have the time to swing both, or will he have to choose which one he prefers doing? Now “The Voice UK” having disappointing ratings is understandable because the same thing happened in the US. After the judges selected their top singers the whole thing just became boring. The way they held the auditions is what really only amazed people at first, how they don’t see the contestants while they are singing and judge them purely on their voice. The concept is really fair and shows no judging on how the person looks, which I think is a huge mistake on other singing competitions. UK ratings were recently at 4.6 million viewers, by far the least watched audition show to date. So, “The Voice” in general has to find something after the auditioning process to keep the show as interesting, because right after that, it’s just like “X Factor” and “American Idol”. There are already so many shows doing that crap, so all they got to do is find a way to be more different because individuality will bring the success the shows craves. I can tell you that I gave up on watching “The Voice” after the auditions, it became boring and I just didn’t feel like I cared who won after that. US ratings were also low with NBC watching a steady slide downwards until the finale which raised the numbers. What does this say for the “The Voice” all around? Ratings are lowering and it seems that fans are just not interested in the show after the mentors get out of those swivel chairs. Do you think “The Voice” will maintain it’s standing along side such popular shows as “American Idol”, “Duets” and “The X Factor”? Personally, I hope Cee-Lo doesn’t choose to do the UK version and leave the US because the show wouldn’t be the same without him. The Voice Season 2 Finale SPOILERS!